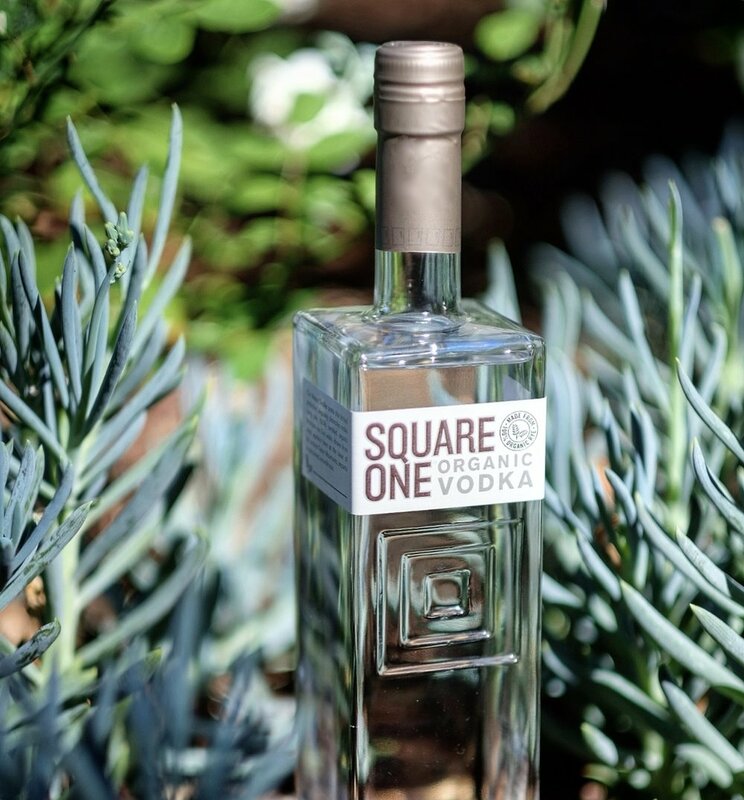 I’m back with the second round of Currently On The Rocks, and this time we’re talking about Square One Organic Vodka. What I love about this vodka: I tried the bergamot flavor and the original. First, for the bergamot flavored vodka, you immediately notice a strong scent of citrus. There’s no harsh after taste or burn while drinking it on the rocks. I highly recommend this drink any time of year, but especially as we move into fall. If you’re not a fan of vodka on the rocks, I’d suggest pairing it with club soda. This flavored vodka has a very clean taste. On a personal note, Timothy is a HUGE fan of the bergamot flavored vodka and has been drinking it on the rocks ever since it arrived. When it comes to the original, it’s very clean as well. There’s no taste which is exactly what you want in a vodka. I’ll add that the packaging is simple and modern and the cork stopper is a great touch. It easily competes with Ketel One, Grey Goose, Chopin and belong on the top shelf of any bar. Cheers! I spoke to the founder Allison Evanow about her company below! Can you tell us how Square One came about? I got the idea for the company late summer 2004. I had been working for several large wine and spirits companies in a marketing capacity and I enjoy food, wine and cocktails as a big part of my social life. As a follower and consumer of the organic food movement, the growth of farmer’s markets and the more mainstreaming of “green/sustainable” practices, I saw the opportunity for a spirits company dedicated solely to organic spirits and one which also incorporated other more sustainable practices into the business. I noticed a lot of Bay Area bartenders (San Francisco) starting to feature more organic ingredients in their cocktails, with some going as far as to shop twice a week at the SF Ferry Building’s Farmers Market to source ingredients for their cocktails, much as chefs would do. But then it struck me that in some spirits categories, specifically “flavored vodkas”, that most brands were using synthetic flavorings instead of real botanicals, and certainly nothing that was certified organic or that was of the quality that a serious bartender wanted to use in their craft cocktail program. So I decided that it was time to not only be a champion for organic spirits in an industry that had not yet seen many organic spirits, but also to bring a far more sophisticated flavor profile to the heretofore “faux flavored vodka” category by using real ingredients in our spirits. What makes it different than other vodkas? The big difference is first in the base material. We are one of the very few brands in the U.S. that uses rye, and ours is actually 100% certified organic rye, which is even more rare. I chose rye as our base material because I love how much flavor it has - nutty, spicy yet still with a soft finish. In the U.S., I think the industry has “trained” the consumer to think that they want a super neutral vodka that has no character. “Smooth’ is an over-used word and I think some people equate neutral flavor with quality, when we believe your vodka should actually have some character to it! And then once we started getting into botanical infusions, we really set ourselves apart in the beginning because we use real botanicals and all of the spirits are certified organic. That means that our botanicals are either certified organic or organic compliant (sometimes we simply can’t source a certified organic botanical cost effectively but will still use the natural botanical and process it under organic standards) so the real flavor of each ingredient comes through. The biggest reaction we get from both the trade and consumer is “wow, it actually tastes like the botanicals you used! I’m so used to fake tasting flavors and this is extraordinarily good in comparison”! You have a variety of flavors, how did you choose the flavors? Every one of our botanical spirits started with the end use in mind. I’m a cocktail geek at heart and have learned so much from the bartending community and as a home cook as far as what flavors work well together to get a balanced cocktail. So every one of our botanical spirits was created by thinking of how I wanted it to taste in a cocktail. Our Cucumber vodka, one of, if not the first, cucumber vodkas in the market, was always intended to be showcased in light cocktails with citrus, herbs, and high quality cocktail sodas. Nothing too heavy. But we also knew that we wanted it to be able to be used in more unusual pairings and we found that it works beautifully with sherry, with sake, elderflower and some other cool ingredients that can deliver a more complex cocktail experience. The same held true for all of the other botanical spirits that came after the Cucumber - Botanical in 2009 (a juniper-less “gin” at 90 proot and 8 botanicals), our Basil in 2011 (4 basil varieties, coriander, lemongrass and honeysuckle) and our Bergamot (bergamot, 3 citruses, coriander, juniper and ginger). Its always about how it will perform in a cocktail, not about “what is the hot flavor of the year”. Can you tell us a bit about the process of making your vodka? All of our spirits use the same base organic rye. We ferment our vodka using organic processes and we only distill it once in a 4-column still. It is then filtered through a paper micron filter, not a charcoal filter, which leaves a lot of the flavor intact. Charcoal filtering takes out some flavor and we didn’t want that. As for the botanicals, each one of them is individually distilled in micro vacuum stills under pressure with very low heat. This allows the botanical to retain its fresh flavor because it doesn’t get “cooked” or doesn’t sit in a vat macerating for days where oxygen can change the flavor profile. We use several companies who have the sourcing capabilities to get our raw ingredients and custom distill our botanicals for us. Then we have a very specific process for blending them back into the base spirit. That is all part of our special mojo! Who’s your target demo for the vodka? Our target is a combination of consumers who seek out authentic brands with real ingredients and a focus on very high quality. Our customers - whether they are bartenders buying to make drinks for their customers or consumers buying at retail to make drinks at home - care deeply about quality and authenticity along with a unique flavor profile. We have been a pioneer in our industry both in terms of organics, but also in using real botanical in a category that was more know for “candy-like flavors”. Our consumers know that by being certified organic, we are held to the highest standards of quality and that they can be sure that they are getting a world-class product. And although women are not specifically a target of ours to the exclusion of men, we have found that when women find out that it is a woman-owned brand, started and primarily funded by the two founders (myself and my sister as my silent investor), they become even more loyal to the brand because they know that we were pioneers in a very challenging regulated industry that has historically also been male-dominated. The #girlpower #bossbabe movement has certainly helped us get new fans. But of course, the product had to deliver! Why should someone order Square One at a bar over all the other options? As you can imagine, I have tasted thousands of cocktails at bars using Square One over the years and what has been remarkable for me, is how balanced those cocktails always have been - whether they were simple cocktails with few ingredients, or others with more complex ingredients. Our spirits are truly head and shoulders above many other vodkas and it shows in the final cocktail. So many people have said to me that they didn’t like vodka at all, and especially not “flavored” vodka, because they always tasted so industrial and fake. Then, when they tried ours, they couldn’t believe that they actually liked it! I think that is why so many high-profile bartenders enjoy using Square One, because it fits their criteria for quality and they are proud to put their name on that cocktail on their menu. Although we are a very small company, we have enjoyed tremendous support from some of the best cocktail bars and high-end restaurants and hotels in the nation, because we offer world-class quality. What's to come in 2018/2019 for Square One? We are always tinkering and we have some ideas for 2019. But the one thing we know is that we won’t ever release a product that we don’t think is absolutely outstanding and unique. We don’t like to copy something others have done. We like being a pioneer and offer unusual twists on spirits so you can be sure that if we come out with something new, it will be something different! As a result it takes us a long time to find the next one . . .
We’re heading into fall, what’s an ideal cocktail we can make with Square One? Our Square One Bergamot is the perfect spirit for fall. While the bergamot citrus is the lead citrus, we also use mandarin, navel and tangerine oranges, along with juniper, ginger and coriander, so it brings a pleasant warmth and spiciness to the spirit that pairs so well with other fall-like ingredients. Since our Bergamot is primarily sourced from Italy, we lean heavily on Italian spirits in some of our cocktails. The perfect easy to make cocktail for Square One Bergamot is a riff on a Mule that we call “La Tempesta”. In a copper mug, pour the spirits over ice, add ginger beer and garnish with orange twist. For those who prefer a spirit forward cocktail, one of our favorites is a Bergamot Rye Old Fashioned. Playing off the rye in our base spirit along with rye whiskey highlights the grain in both spirits but makes for a lighter, more citrus-y twist on a regular old fashioned. Place sugar in a rocks glass and add 2 dashes of angostura. Muddle briefly to break down sugar. Add spirits and stir. Add large square or round ice ball and garnish with a flamed orange twist.